Haram Al-Sharif, or Haram Esh-Sharif, means “noble sanctuary” in Arabic. It couldn’t be more appropriately named; the disparity between the Temple Mount’s serene grandeur and the cacophonous crowded streets below couldn’t be more marked. 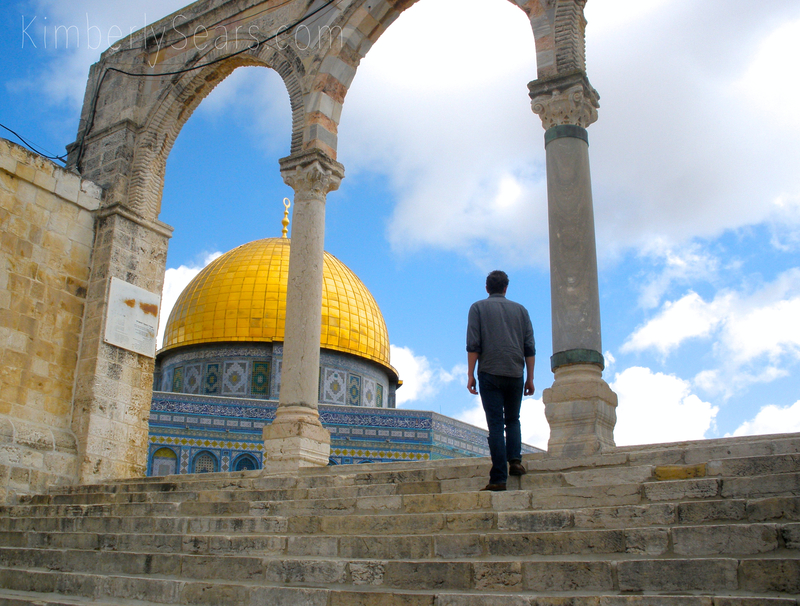 When you ascend to the Temple Mount, you ascend to a world apart. 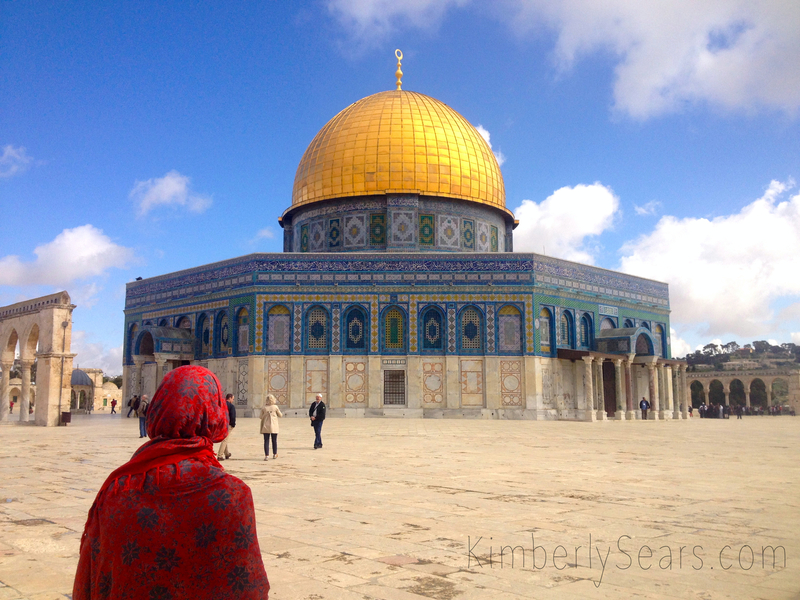 Home to the iconic Dome of the Rock, often referred to simply as “the Mosque,” this has always been one of my favorite places in the Holy City. The arches on the exterior of the Mosque total fifty-two, for fifty-two weeks in the year. 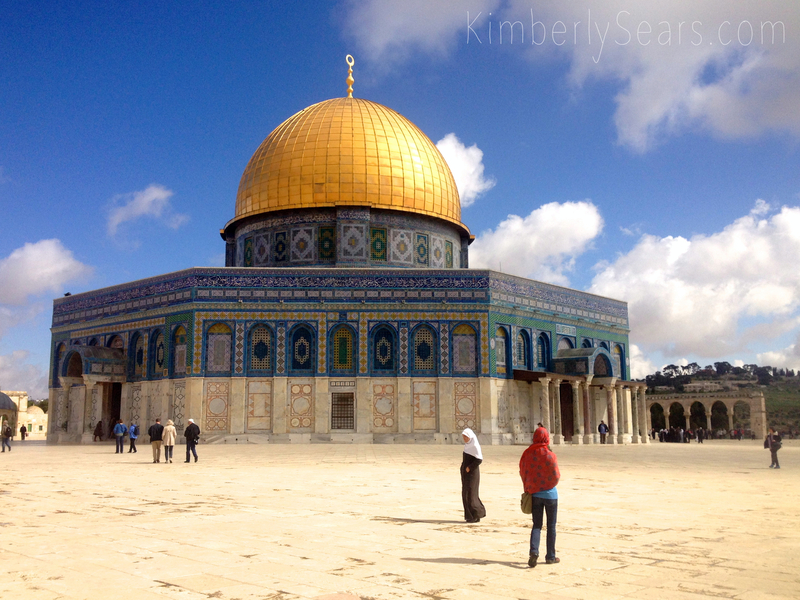 The exterior of the dome of the Mosque was previously lead, then bronze-aluminum alloy added in the 1960s; finally its current gleaming gold coating was furbished by King Hussein of Jordan in 1993. During the second World War Mussolini sent the fine quality white carrara marble that was made into the columns of the Al-Aqsa Mosque (the Dome of the Rock’s companion on the Temple Mount, only a stone’s throw away). Many more things we learned from our guide in the half hour he walked with us—including the architecture lesson he gave us, pointing out different minarets on the Jerusalem skyline and teaching us how to distinguish the ones built by the Ottomans from those of Mamluk make. 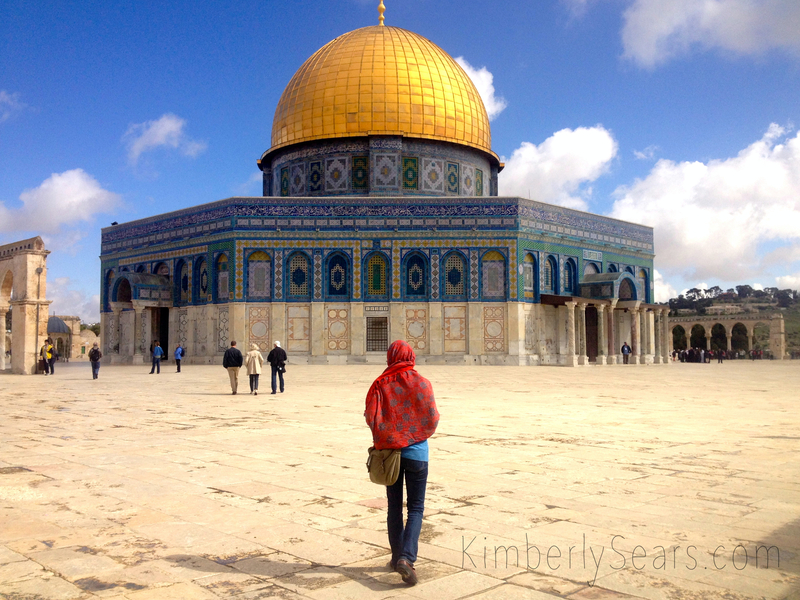 If you’ve been reading my blog for a while, you know how much I cherish the idea of pilgrimage–going to a holy place or making a sacred journey to come into contact with the divine. 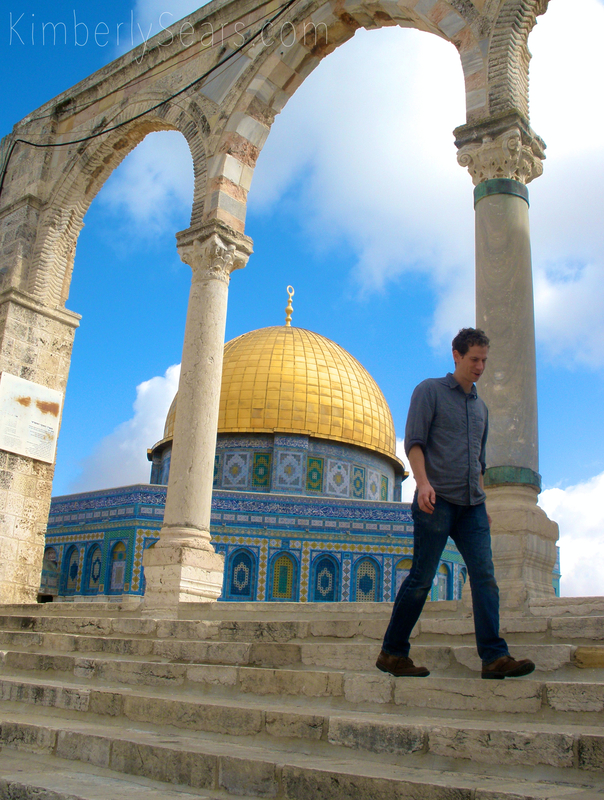 I love how beautifully our Temple Mount guide articulated why one should make pilgrimage, and what can be gained from it—how you can be transformed by going to a place as holy and ancient as Haram-Al-Sharif and feeling how tiny and young you are on this earth.